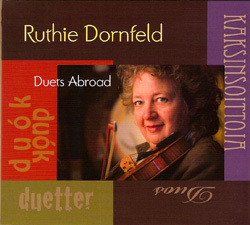 The latest record from Seattle fiddler Ruthie Dornfeld is a wide-ranging collection of traditional folk tunes, originals, and early music titled “Duets Abroad.” Why not let Ruthie introduce it? Last year I traveled to Finland, Denmark, France and Hungary to record duets with some of my favorite European musicians: Petri Hakala, Tapani Varis, Pekka Pentikäinen, Jouko Kyhälä, Morten Alfred Høirup, Patrick Desaunay, and Balázs Dongó Szokolay. The music covers quite a range – traditional tunes, some originals, and a bit of early music. 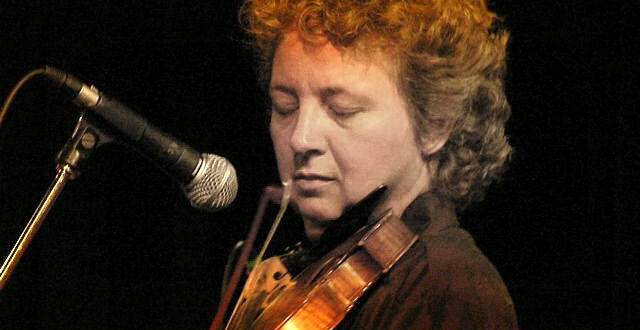 I play both violin and vielle (medieval fiddle) in duets with bagpipe, shepherd flute, jaw harp, accordion, mandolin, guitar, singing bowls — it’s an adventure! Here are two samples: the first a Finnish polska with Petri Hakala on octave mandolin, the second an American fiddle tune with Petri on mandolin. Brilliant!